So pretty! Love both of your cards! Very cool!! What a great idea this was and so pretty! 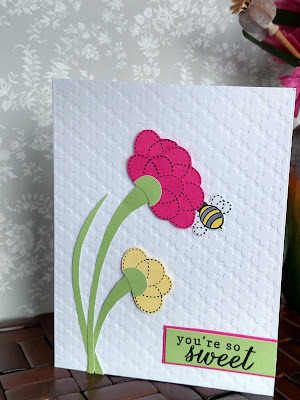 I just love the versatility and creativity you stretched from bee's to flowers! And can't wait to see the leftover bee's turned into balloons too. Very creative! Great colors and designs! 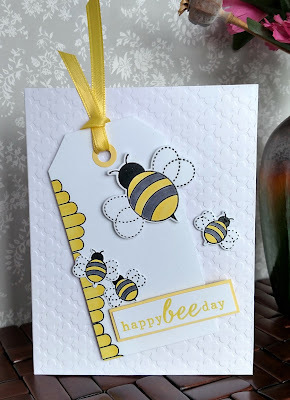 ~Kim K.
Ok, I seriously love how you stretched these stamps - my favorite is the little detailing you added to the tag with the bee hive - it created such an awesome graphic element! Love these cards, so fresh and pretty!! Fun card and I love how you used the wings to make a flower great idea! 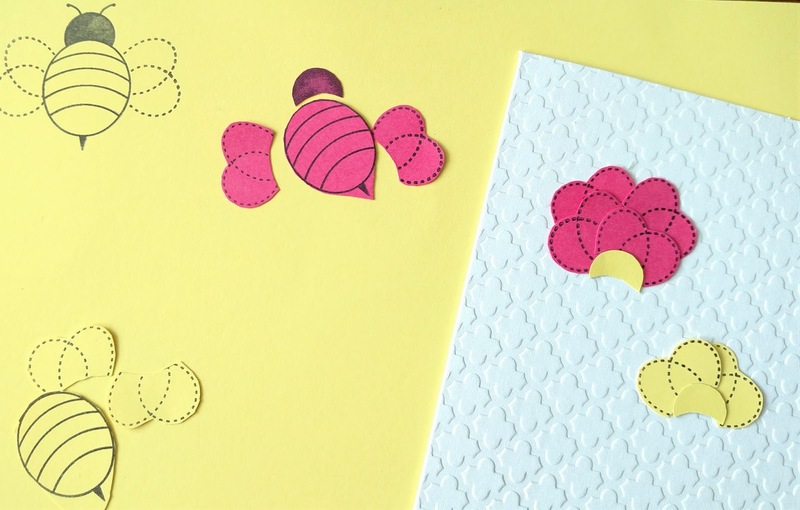 Pretty textures and colors on your fun cards! Love the creative flower! Awesome cards! 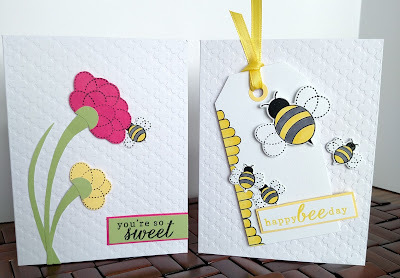 Love your creative use of the bee stamps! So creative! That's a great idea to stretch your stamps! Pamela, these are amazing. I love your style so much I had to subscribe to your blog so I don't miss any more. TFS! Such a clever idea to make petals from bee wings and balloons from bee bodies. Your cards turned out so cute. Just buzzing by to say "how cute"
use out of a stamp or die. Oh, these are so pretty and fun! Awesome cards. Thanks for sharing how you used your stamps. Darling cards. How clever to use the bee wings for the flowers. Such clever uses for the stamps. Super cute. Love both cards! So creative! Wings for flowers, genius! Wow!!! Such lovely cards!!! Absolutely cute!! !